Home » Portrait of James Harris, 1st Earl of Malmesbury. As a British diplomat, he negotiated unsuccessfully in 1796 and 1797 with the French Directorate in Paris and Lille, but then had to retire because of deafness. 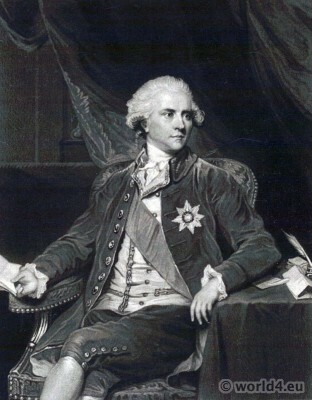 1800 Harris was raised to the Earl of Malmesbury. eBook: Diaries and correspondence of James Harris, first Earl of Malmesbury.